It has been predicted that reducing vehicle weight will become the primary objective of automakers over the next two decades, all in a quest to achieve higher fuel efficiencies to meet the rigorous new U.S. Corporate Average Fuel Economy standards. 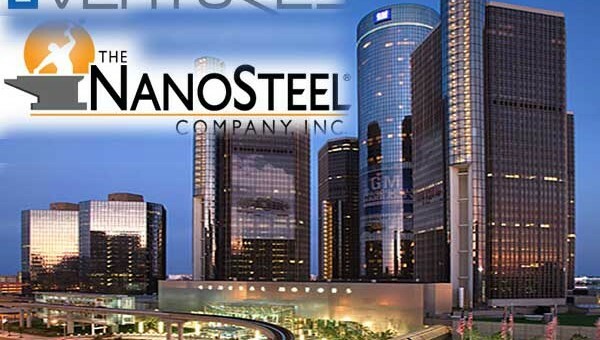 To that effect, General Motors has announced that its investment subsidiary, GM Ventures, has invested in The NanoSteel Company — a “leader in nano-structured steel materials design”. In investing in NanoSteel, GM joins other NanoSteel shareholders such as EnerTech Capital, Fairhaven Capital Partners, and five existing investors to complete the Series C financing round for NanoSteel. As of this writing, the sum of the investment has not been disclosed. So what does NanoSteel do, exactly? According to GM, NanoSteel has developed a series of patented alloys that have led to the creation of a new class of steel that allows for a noteworthy reduction in weight by using thinner, higher strength gauges. Of importance is the fact that NanoSteel’s reduction in weight doesn’t compromise the structural integrity needed for automotive safety. As such, the company’s product can serve as an alternative to other lightweight materials that usually cost more, require new investment in parts production, and carry performance limitations — all in the name of improving fuel economy. Of note is the fact that the investment is being made by GM Ventures, a subsidiary of General Motors created specifically to seek out, research, and invest in promising automotive technologies. This investment seems to perfectly showcase the purpose of GM Ventures: since a company, even one the size of GM, can’t possibly create every possible innovation in and/or related to its industry, it’s important to keep the proverbial ear to the ground of up-and-coming technologies. To that extent, GM Ventures seems to be doing a great job in finding innovative companies and products in which to invest. In fact, if NanoSteel’s unique lightweight steel pans out and makes it to market, then GM may just have an advantage over automakers such as Audi and Jaguar, which are notorious for utilizing expensive aluminum in its vehicles to reduce weight. But even if all of that doesn’t get you excited, then think of it this way: better fuel economy usually results in better performance and a more engaging driving experience. Now we’re talkin’!